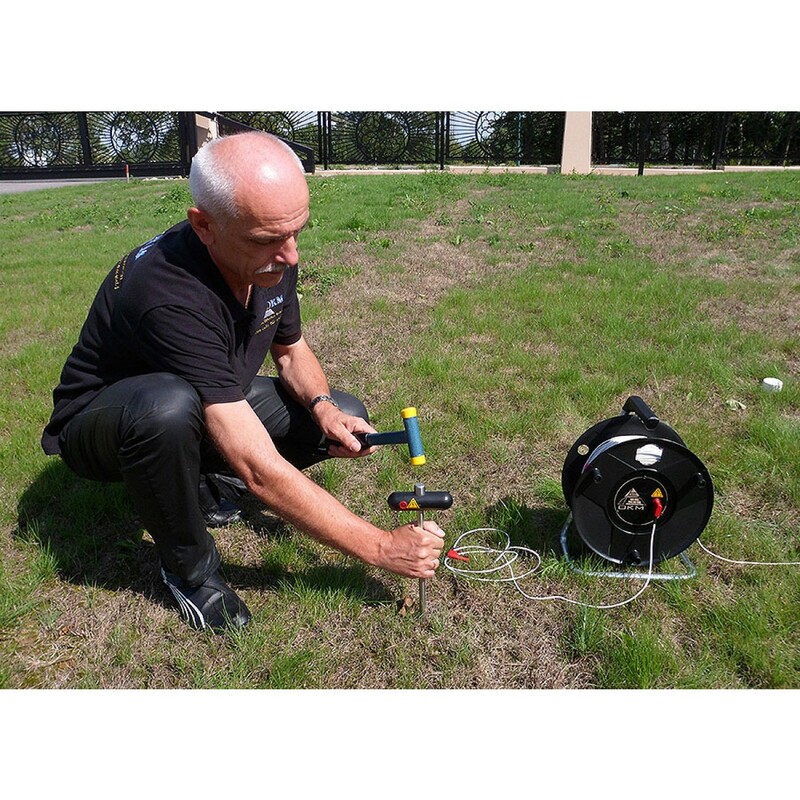 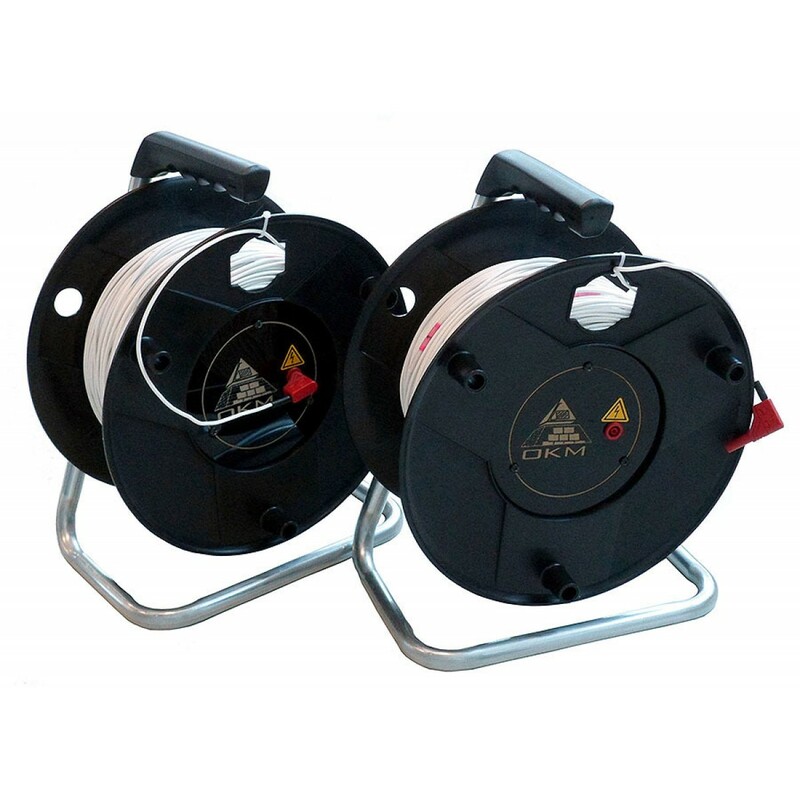 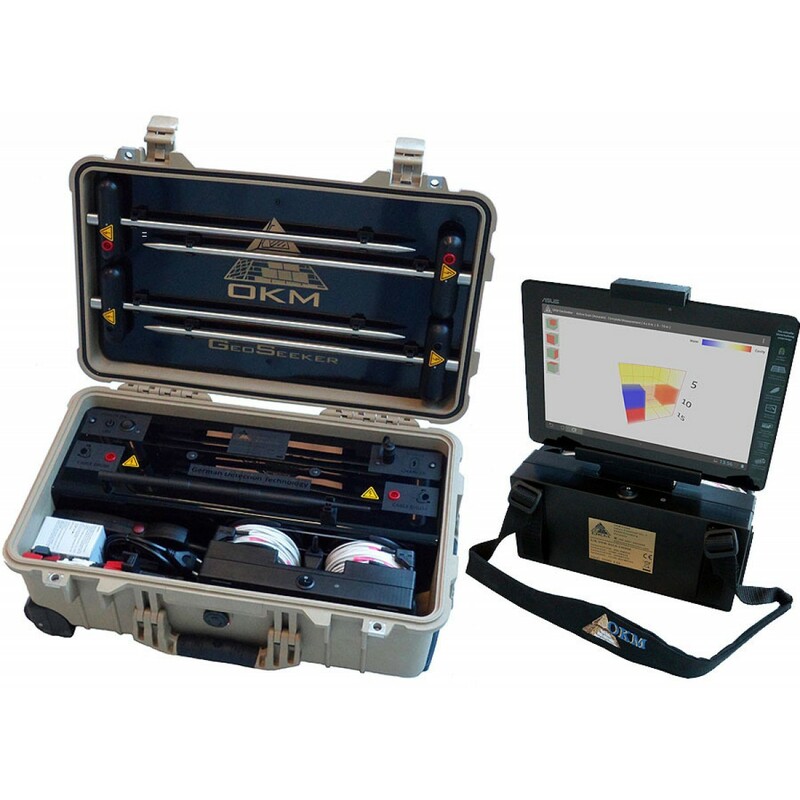 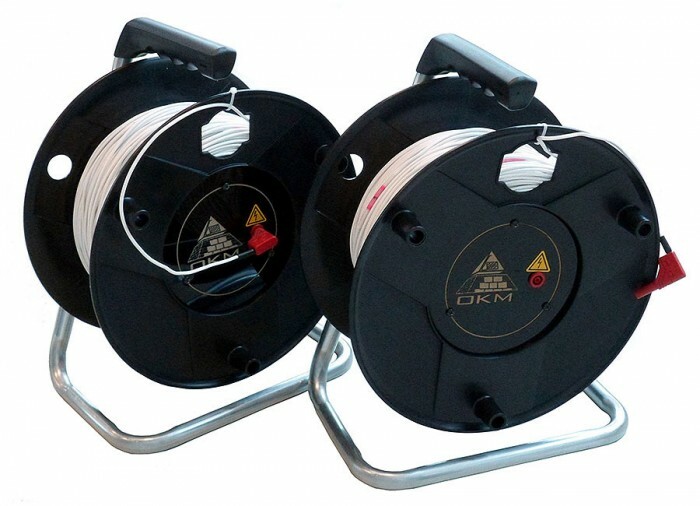 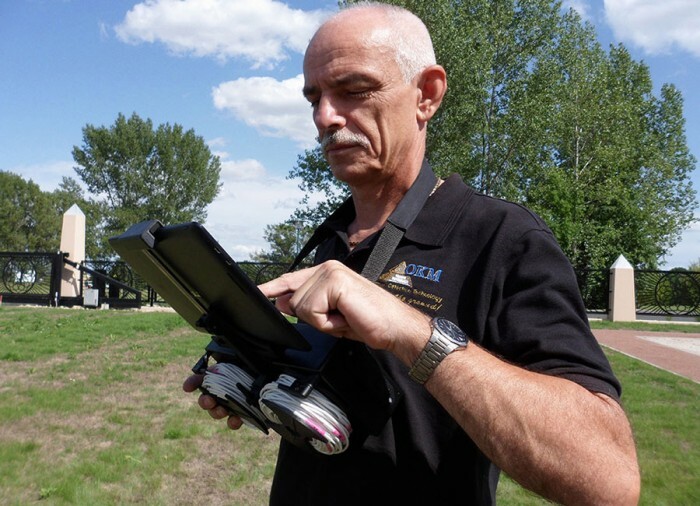 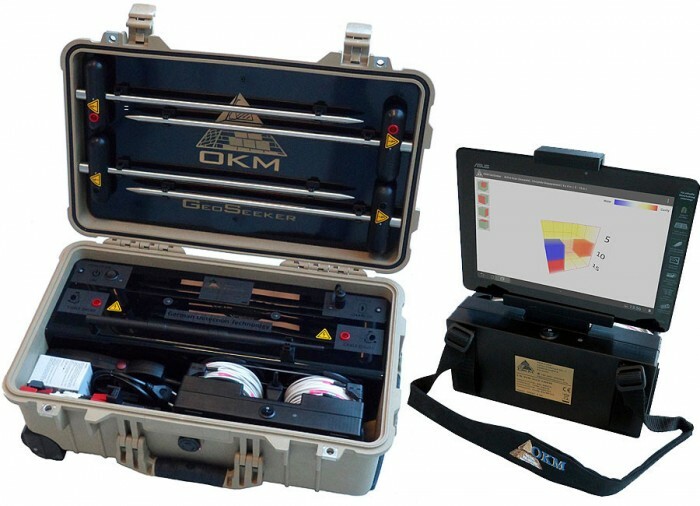 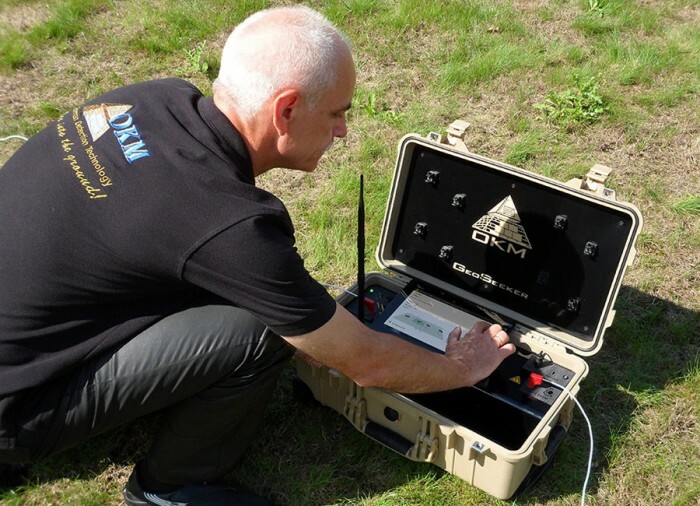 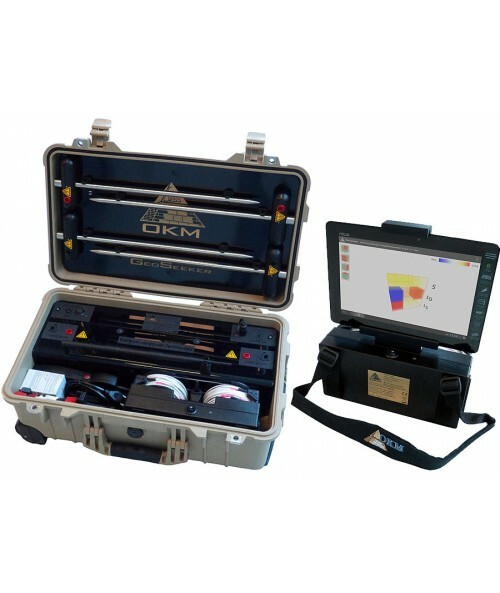 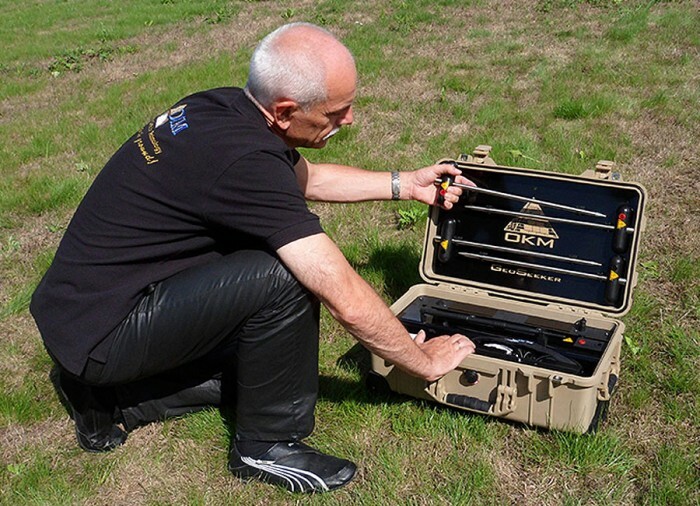 The OKM GeoSeeker Water and Cavefinder is most accurate and deepest detection Ground penetration locator OKM has ever offered. 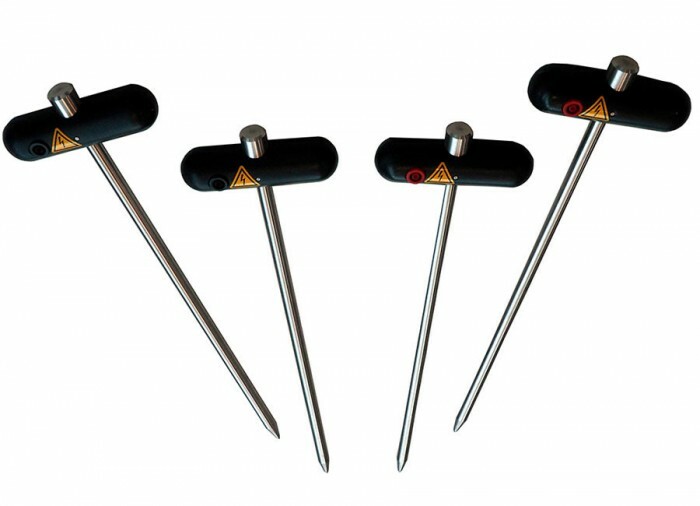 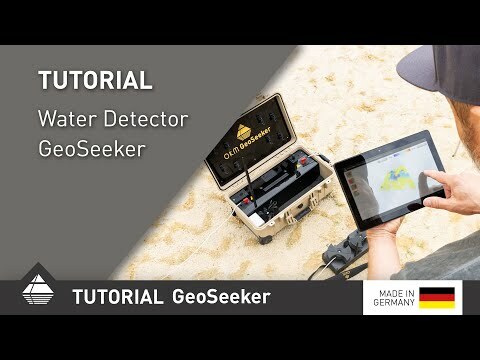 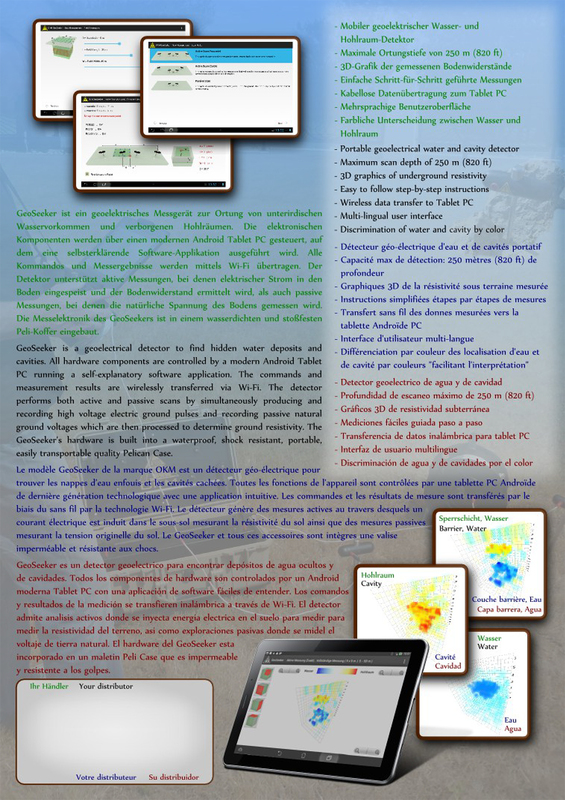 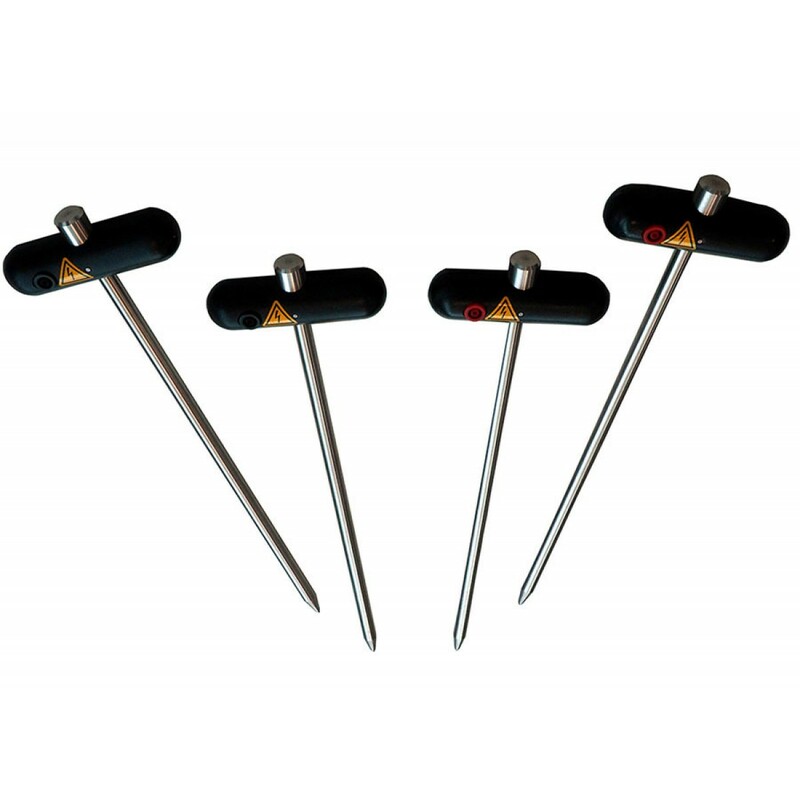 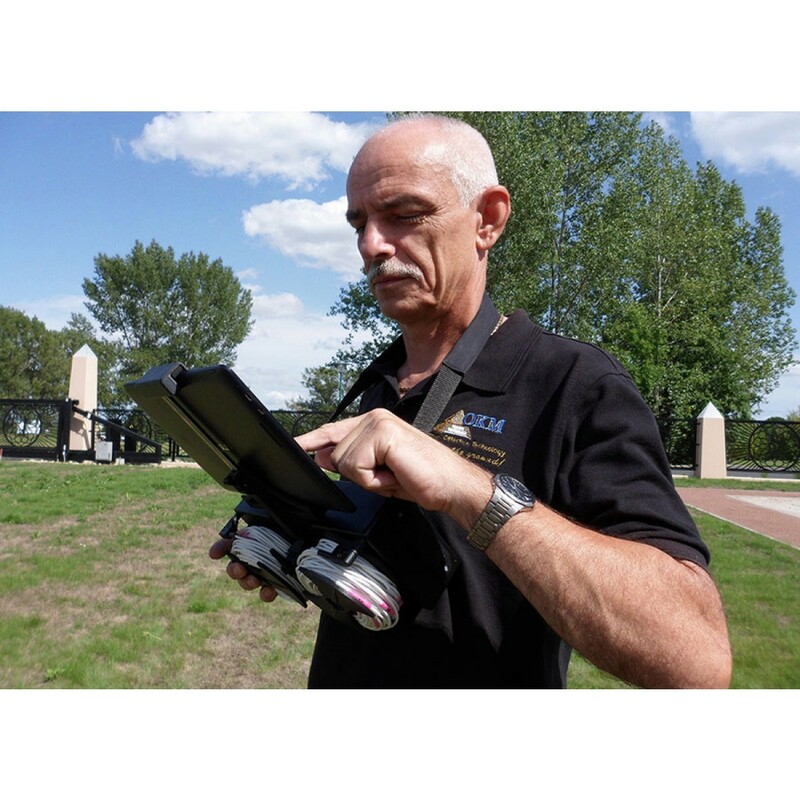 The GeoSeeker in Active Scan modes can output a large scan voltage of up to 390 Volts. 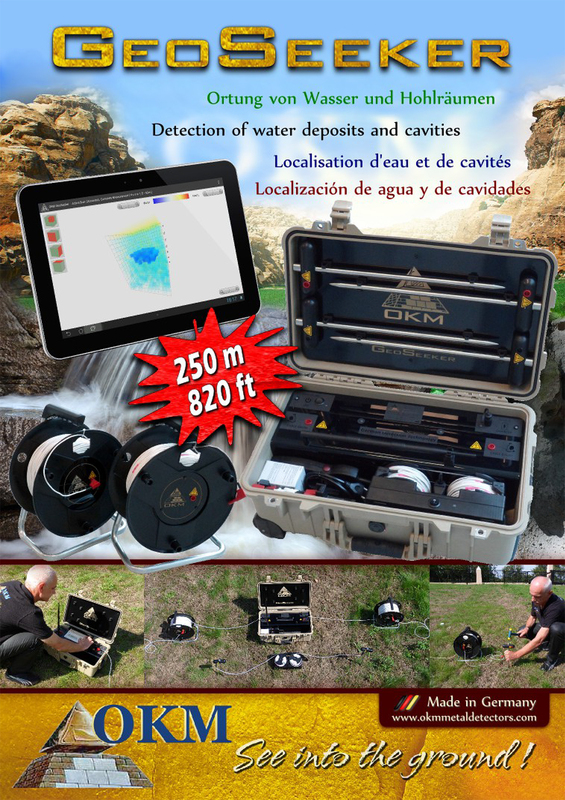 The active scan mode is the most accurate scan method and will give the best results in the location of water and caves or caverns. 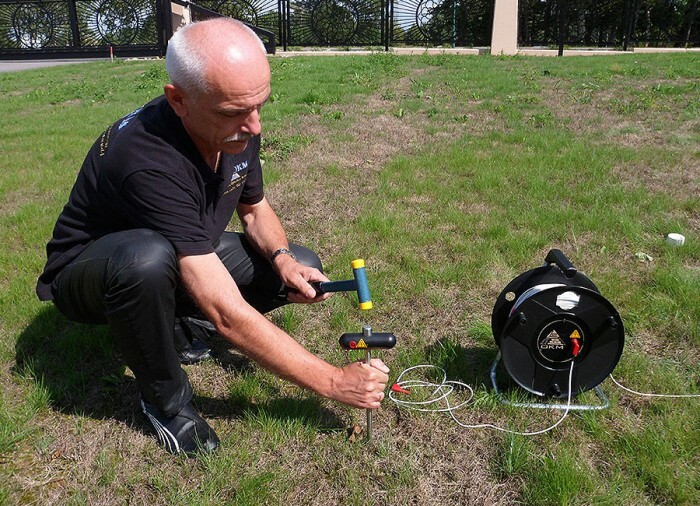 The Geoseeker can also operate in a passive scan mode without direct power input that will only measure the natural occurring voltage that is in the ground itself. 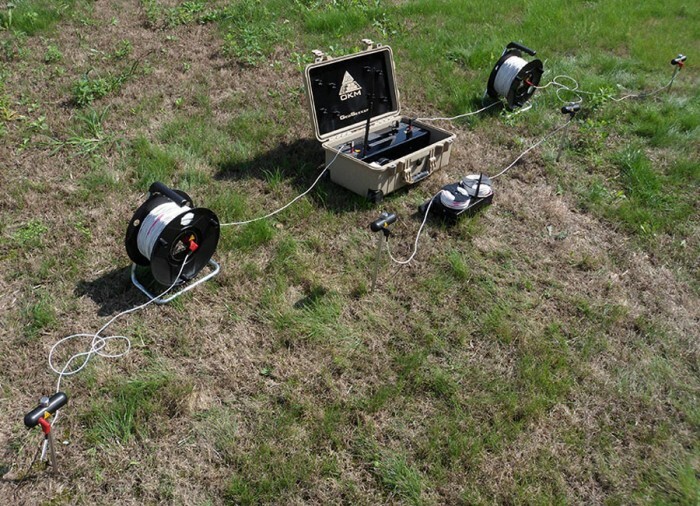 This type of scan is suitable in sloping areas with an underground watercourse. 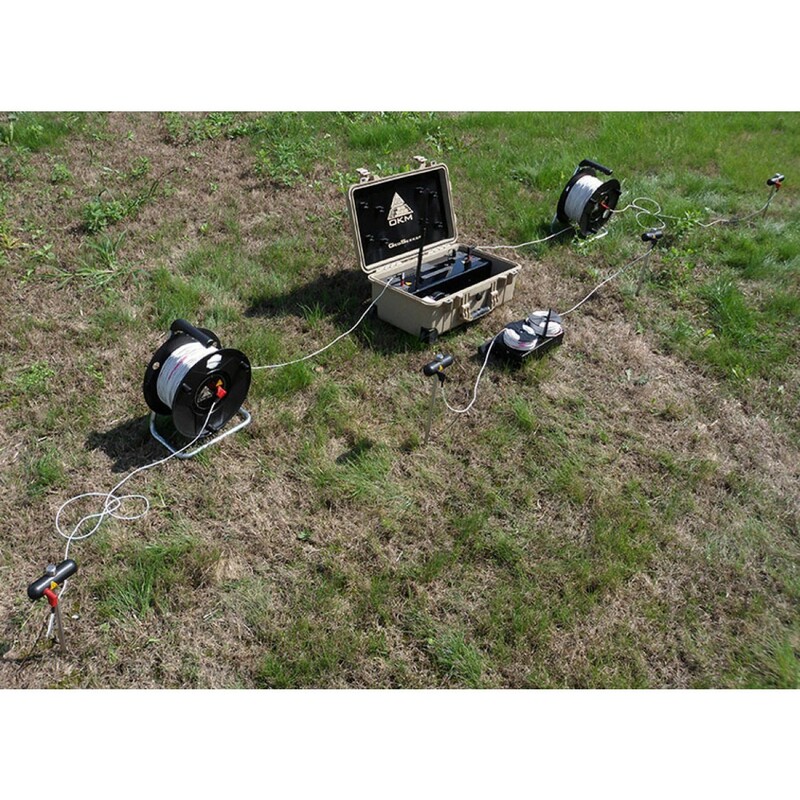 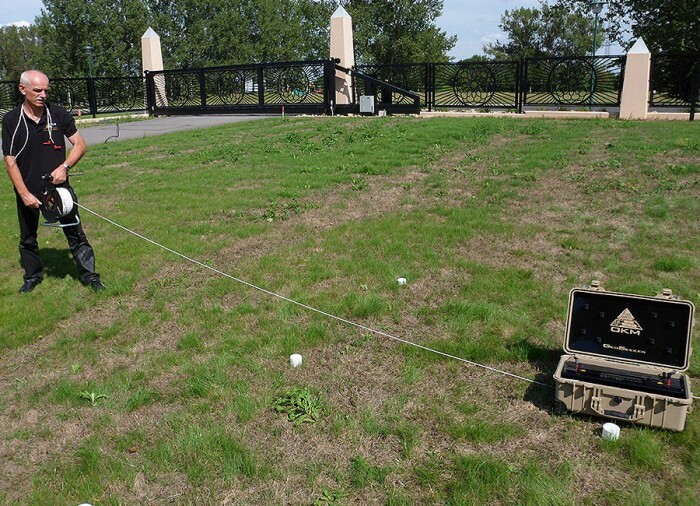 The GeoSeeker can easily make accurate 3D Graphic scans of underground resistivity at a maximum depth of up to 820 feet or 250 meters. 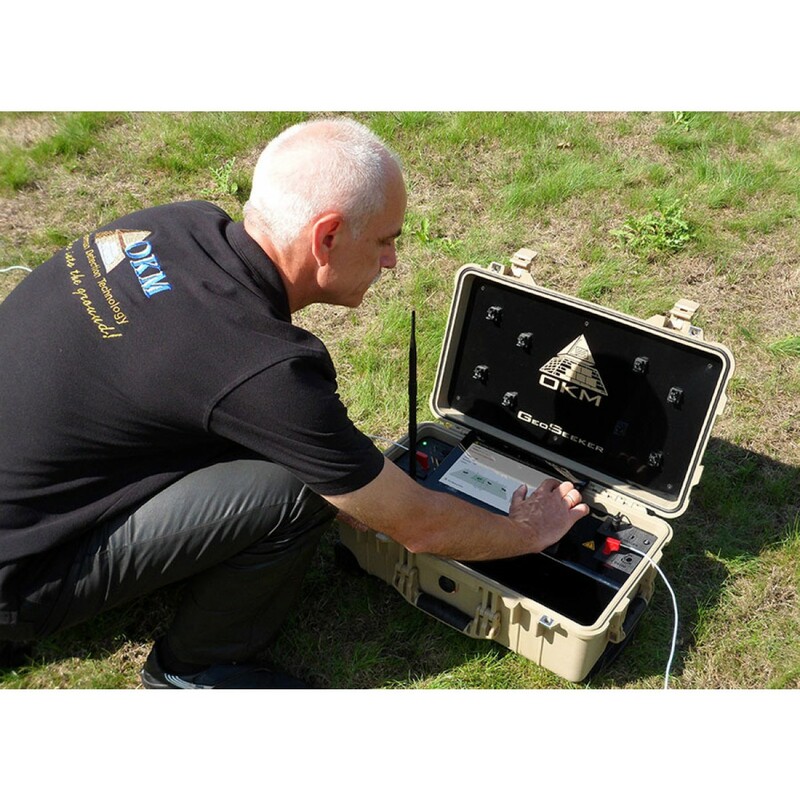 Easy to follow step-by-step guided measurements and wireless data transfer to the Tablet PC make using this highly sophisticated Geo-electrical detector one of the deepest and easiest to use! 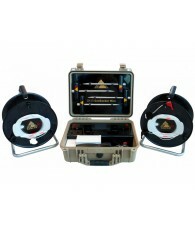 A New Powerful Water & Cavefinder!